On 28 January 1986, the Astro-1 crew was in Building 5 at JSC practising launch and entry profiles in the simulators. It was about forty days before their scheduled launch on STS 61-E and their planned observations of Halley's Comet from above the atmosphere. 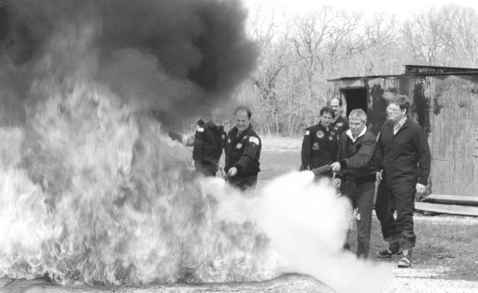 Taking a break in their training, the crew witnessed the horrifying events unfolding during the launch of Challenger via a small TV and soon realised that they were not going to fly in forty days, nor any time soon. Parker recalled the immediate post-Challenger activities for the Astro-1 mission and crew during his Oral History interview in 2002. Looking back over sixteen years, he thought it amazing how the launch rate was scheduled in 1986. The Astro crew "had to go to see Halley's Comet'' in March to allow for a re-flight in November. This put pressure on the previous mission (STS 51-L) to launch before Astro, which was compounded by the fact that the mission before that (STS 61-C) had slipped through Christmas 1985 and had experienced difficulties both in getting off the ground and in returning. There were also two important launch windows in May to launch the Ulysses and Galileo probes, and it seemed to Parker at the time that making the launch window was the overriding priority. The crew had expected to launch in March to observe "spring-time stellar targets'' before recycling to fly the second mission in November (with the same crew apart from one payload specialist), almost a production line of space flights. But in January, all plans came to a grinding halt and the controllers, trainers and crew found themselves with a possible two-year delay and no confirmed mission. They entered what was termed "generic" training to keep up their proficiency, but without the intensity of preparing for an upcoming launch. It was a much lighter schedule and some of the team, including Parker, went off to do other things.